Many people in the world love spicy food. Conversely, there are bunches of people who can’t handle the heat on their taste buds. Several world cuisines incorporate spices into their foods, including countries from South America, Asia, and the Caribbean nations. Many of the people from those places love spicy food, and slowly the rest of the world is joining them in their love of these tongue-tingling dishes. Heat in food comes from a variety of sources, including chili peppers, mustards, or roots such as horseradish. The main flesh of a pepper can be spicy itself, but often it’s the seeds that provide the heat. Many plant seeds are indigestible to grazing animals so they pass through the animal and the seeds can grow somewhere else away from the original plant. A reason why the seeds are so spicy is to ensure that either the animal passes them through or spits them out, therefore migrating the seeds to another location. Who brought it to the world. It is believed chilies originated from Mexico, and some of the hottest food in the world can still be found there. It wasn’t until the Spanish took chilies from Mexico to Asia and India that they came into their own. 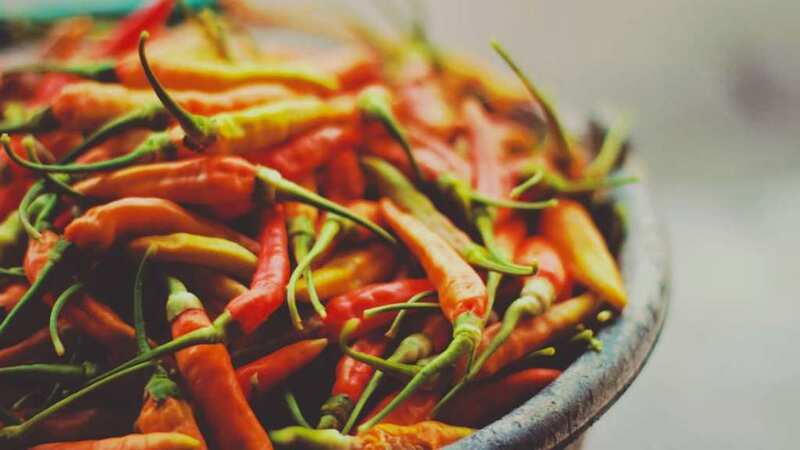 Spicy foods really grew in popularity once the chili pepper made its way to India. 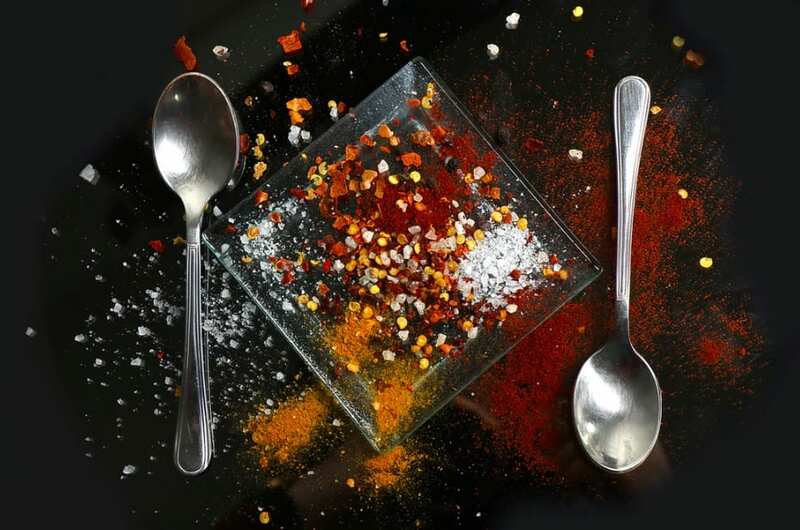 The cooks in India were used to using hotter foods such as black pepper and ginger, but this new level of heat changed the game for chefs and cooks. A Heart Health study found that cultures that eat very spicy food tend to have lower incidences of heart attacks and strokes among their citizens. It is argued that the chili peppers themselves can reduce the negative effects cholesterol has on your body. Additionally, the capsaicin found in spicy foods is understood to fight inflammations – one of the risk factors highlighted as a danger of heart problems. So there you go, spicy food is good for you (once you get used to it and are able to eat it without the sweating and tears). How come some people can eat it? We need to acquire a taste for it as we aren’t born with the ability to eat the hot stuff. Once you start on your spicy food journey, you’ll possibly never go back to not wanting a bit of spice in your meals. Once the spicy molecules in the foods are touched on your tongue, they begin to slowly reduce the effectiveness of a neurotransmitter named substance P. This transmits pain signals from the source to your brain. Once you begin building up a tolerance against the pain, you’ll start craving that tongue-tingling sensation and will start to miss spice if it isn’t present in your meals. The active ingredient in spicy food is capsaicin which binds itself to our taste buds. Once it is bound to our taste buds, our sensory neurons will begin to send a signal to the brain telling it there’s something spicy going on in your mouth. The Scoville chart ranks the spiciness of chilies. In simple terms, it measures how many drops of water it will take to remove the taste of a single drop of the chili. The hottest chili in the world is the Carolina Reaper, measuring in at 2.2 million Scoville Heat Units (SCH). In comparison, a jalapeno pepper is considered to be between 2,500 and 5,000 SCH. That was a little bit of background on spicy food. Hopefully, it has helped you understand a bit more about food of the tongue-tingling variety, and you’re willing to give it a go if you aren’t already a fan.